Would you leave your door open when you go out? Of course not. You don’t want to welcome unwanted guests. Then why would you welcome unwanted chemicals into your scalp skin? I am talking about hair dyes which have dozens of harsh chemicals that can irritate the scalp and even cause cancer. I know, most of us want to delay greys as long as we can. But we can easily do that – with natural and safer options such as the good old henna. I absolutely love henna, it not only covers the greys, it also makes hair incredibly shiny, voluminous and vibrant lukhing. Would you like to explore the world of henna? My fascination with henna (or mehendi as we call it in India) started when I was very young. My grandma had a henna bush in her backyard. When we visited her in summer vacation, she made us pick henna leaves. She would then crush the fresh leaves with mortar and pestle and spread on my sister and my hands and feet. She would then tie a cloth around it, so we don’t go around dropping henna everywhere. And then after few hours of henna working its magic, our little hands and feet and nails would be bright red. We both enjoyed it so much. And as you might expect, my grandma’s hair was always red or brown or mix or both. We never saw her greys, ever. And if you too want to never expose your greys, ever, henna is a natural way out. Before we delve into how to use henna, let take a look at what is henna. The lovely red-orange dye of henna is enclosed within the henna leaves. 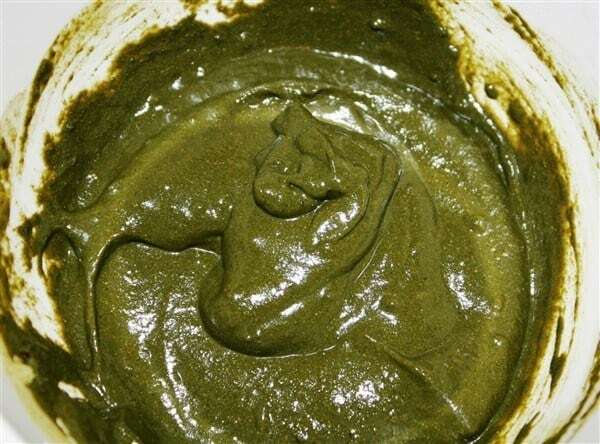 Not everyone has access to the henna plant, so for commercial utility henna leaves are dried, then powdered and this green powder has the power to dye your hair and skin. The henna plant grows and thrives in semi-arid zones with temperatures between 35 to 45 degrees Celsius. So it’s home to North Africa, the Middle East and India, particularly Rajasthan. Henna is also famous for body art. Beautiful intricate designs are drawn on hands and legs during festivals and wedding ceremony. It’s a delight to watch the henna artists adorn the bride’s palms, arms and feet. It can take a few hours before it is complete – a trying and tiring task of patience to beautify and celebrate the occasion. But henna is not at all tiring when you apply on your hair. It can be messy, but well worth it. 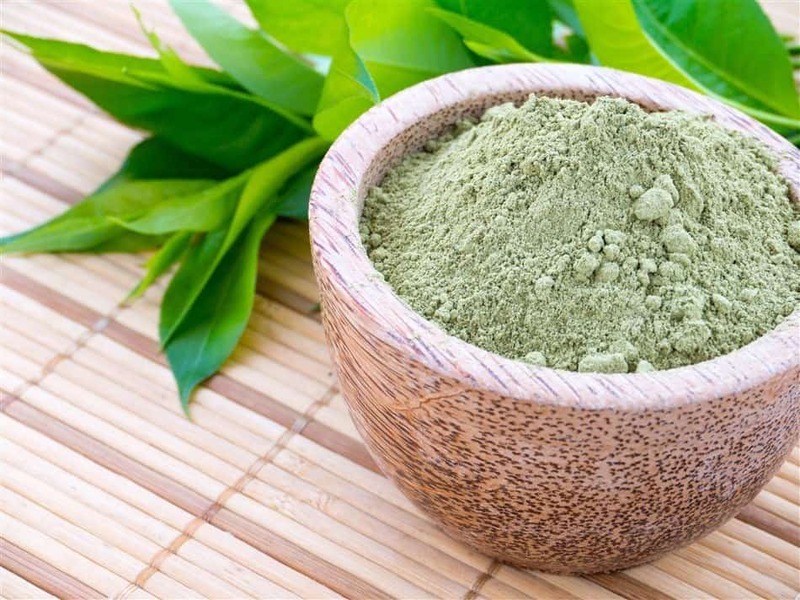 Unlike the synthetic aroma of hair dye, henna has a pleasant herby scent and most people like it. And the second most valid and pertinent reason is safety. 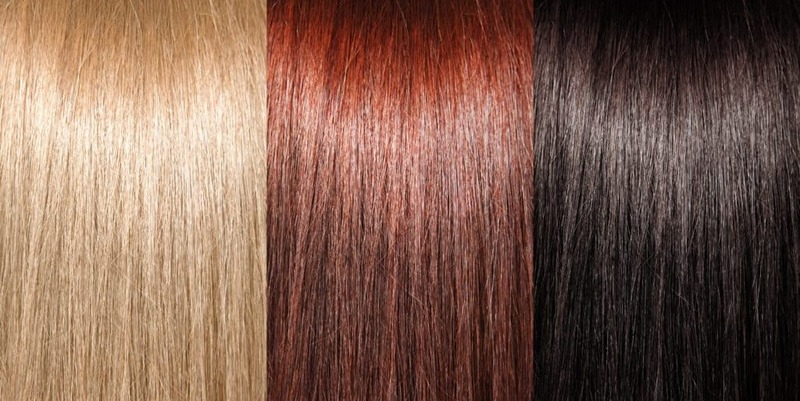 Some common ingredients in store-bought hair colours are PPD (p-Phenylenediamine), formaldehyde, resorcinol, ammonia and DMDM Hydantoin. These are not just difficult to pronounce names, but can cause really bad side effects. Ammonia can cause skin, eye and lung irritation. And resorcinol is linked to endocrine disruption, meaning it affects our body’s normal hormonal function. While PPD possess highest health risk; it has been linked to bladder, lung and breast cancer. One large population based study done on Finnish women in 2015 found a link between women who use hair dye and likelihood of developing breast cancer. So when you have a safer option why not ditch the harsh chemicals filled hair dye in favour of the organic henna. Since henna has existed for millennia, and in different parts of the world, there are hundreds of ways you can use henna. I have my own way. And it’s very basic and I like to keep it basic. For those of you who have never used henna or are not sure about using it, this is a good starting point. Before we start preparing henna, I want you to know that it take 8 to 12 hours for the dye to release. So if you are hennaing you hair on Sunday morning, you can prepare it on Saturday night. This quantity is enough for shoulder length hair, if your hair is shorter or longer, thinner or thicker, make adjustments. First, we will make the tea. Place the loose tea or tea bag in a pot, along with clove and water. Bring it to boil and continue boiling for 5 minutes. Switch off the flame and let it cool down, then strain. I sometimes add beet root to the tea making. It adds beautiful reddish hues. Next, place the henna in a glass or ceramic bowl. Slowly pour the cool down tea and mix well. It should be the consistency of yogurt or pudding. Don’t make it very runny or it will be dripping all over you. But if by mistake you do it, simply add some henna to thicken it up. Cover the bowl and rest. You rest and let the henna rest. And in the morning henna will have released the beautiful lawsone dye molecules to colour your hair and make you prettier. (You are already pretty, so prettier it is). Again some instructions coming up before you apply it. Wear the oldest clothes you have as henna stains and it doesn’t come out, no matter which detergent or stain remover you use. So allocate your henna clothes. You will also need a pair of gloves, unless you don’t mind staining your hands. I don’t, I oil my hands lightly and it fades away in 2-3 days. 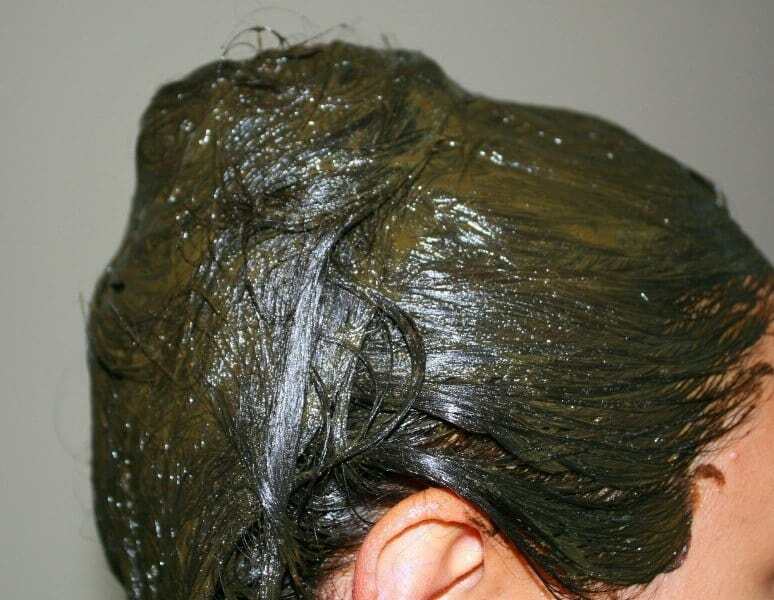 If your hair/scalp is dry, add a tablespoon of olive oil to henna mix. Or you could oil your hair before hennaing. When I apply henna my hair is usually greasy from not washing for 2-3 days. But you can apply on freshly washed hair, it doesn’t really matter. Also make sure to comb your hair to get all the tangles out so it’s smooth to apply. Now put on some music and get to work. It will take about 10 to 15 minutes, depending on how long your hair is. Part your hair in the middle and start applying in sections. Apply to your scalp, all the way to your hair length. Repeat the same for another section of hair. Start at the top and work your way to the sides and then back. Makes sure you cover every inch of your hair and then get all hennaed hair into a mound on top of head. Once you are done, put on a shower cap or a wrap a cloth round so it stays all gooped up. And don’t worry if you have globs of henna on your neck or ears or forehead, just wipe with a damp towel. It may stain your skin a light orange, but it fades quickly due to the natural oils on your skin. You have done your work; now let the henna get to work. I like to leave it on for anywhere from 1 to 3 hours. If you want a deeper colour, the longer it is left on the better. Rinse off the henna with warm water, until all the paste comes out. Give your scalp a massage to loosen out any residue. This may take a little while. You don’t have to shampoo after this, unless you want to. 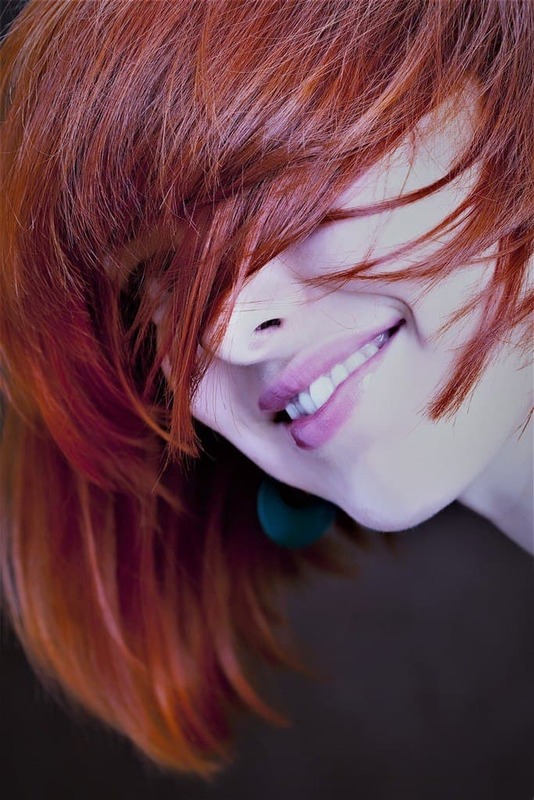 After your hair dries, you will know the colour your hair has taken. But that’s not the final colour. The henna looks brighter and little brassy at first. Give it 2-3 days for it to get darker and richer. And the colour will intensify every time you reapply, which you can do every 3 to 4 week. The shade that you can expect is reddish to auburn. If your hair is dark, you will get a tinge on your hair and your greys will turn reddish brown. This looks good if you have less than 40% grey hair. But if most of your hair is grey, it’s better to add another darkening ingredient in henna and that is indigo, to give your hair more natural look. I will talk about it some other time. If you have blonde or lighter, you can use this recipe if you like the reddish-brown colour. I know blondes who have embraced red colour and it looks really gorgeous on them. But if you prefer to keep it lighter, the henna recipe needs tweaking, we will cover it in near future. Always buy henna from reliable seller. It’s very easy to adulterate henna and mix it will harmful chemicals. That beats the purpose of using henna. This is a good quality henna. Henna is a permanent dye, and it won’t fade off. So if you are not sure how it will look on your hair, do a strand test before making a ‘full hair’ commitment. And continuing on that, it’s possible to be allergic to henna. So before you try henna anywhere, first do a patch test. Apply henna paste on your forearm and wait for 10 minutes and wash it out. If no irritation occurs, it’s okay to use on your hair. But if your skin is irritated, do not use. Once you get a hang of using henna, you will fall in love with its splendorous dazzling and mystifying colour effects. And it only gets better and better with every use. So close the door to unwanted and unsafe chemical from your hair dye and welcome to the safe haven of henna. Henna is a natural and safe alternative to colour your grey hair. Store-bought hair dyes can contain harsh chemicals that may irritate your skin and even cause cancer. Henna takes 8 – 10 hours for the dye to release, so you will have to prepare it in advance. The colour will vary from reddish to auburn to mahogany. It’s lighter when you first wash it and gets darker over 2-3 days. How do you dye your hair with Henna? Share in the comment box below! Hi. My hair is more of a light brown with reddish highlights, and some greys. How can stay in range of what I’ve got? It has enough brown left. Would amla tone down the reddish tint. I love my natural red highlights but have dark brows. I think I’d look strange if it goes orange. Can you mix henna with maybe marshmallow so it won’t be too drying? Cassia in the past left me dry as toast. And what’s the best way to rinse it so the tub isn’t super stained. Thanks for any advice. Abby. Hi Abby, use the method I have given, you can add beetroot when making the tea. Yes, you can mix henna with marshmallow root or fenugreek powder, it will help a great deal to keep hair soft. but little colour along the length of my hair is still there . So is it advisable to use henna ? N I want to use indigo colour also with it as henna gives orange colour to my grey hair. Please suggest how to mix indigo in your receipe of henna . If you have 40 to 50 percent grey and your hair is naturally dark is 3 hours the recommended time? Looks like additional applications my not take as long? I don’t remember how and when I landed on your page but I loved it the first time I read it and the love affair continued after that. I have been using Heena for almost 20 years. I always liked the color and shine it gave. I have experimented a lot with the preparation of mix, but now I am settled with- Boiled water (Teabag+a pinch of coffee powder and grated beetroot) and henna powder. I totally believe in affirmations and I always bless my hair while shampooing or combing or as and when I remember. Thanks for your kind words Swati. I too love beetroot in henna! Did you read the entire article? I have covered it in mistakes section. Can you use henna on chemically colored/treated hair? Or do you have to grow out the chemically treated hair and cut it off before using henna to color it? I always wondered how this was done. On some chemical hair dyes it says not to use them if you have previously used henna. Why is this? It’s because henna is already inside hair cortex. So it won’t allow the hair dye to deposit colour pigments.